Middletown, PA – Premiere #1 Limousine Service is ranked No. 8 on the Central Penn Business Journal’s list of Veteran-Owned Businesses. This year, Premiere moved up in rankings as the company was listed at the No. 11 spot on the previous list in 2015. Owner Douglas Rydbom is a veteran of the United States Marine Corps. He served in the 1st Marine Division from 1983-1989. While serving, he attained the rank of Corporal and served in various locations, including: Camp Pendleton, California; Okinawa, Japan; Korea; and Pearl Harbor. Rydbom credits the military for contributing to certain traits that he has and that he believes translate well in the workforce. Each week, the Central Penn Business Journal publishes industry lists with information about businesses around the region. 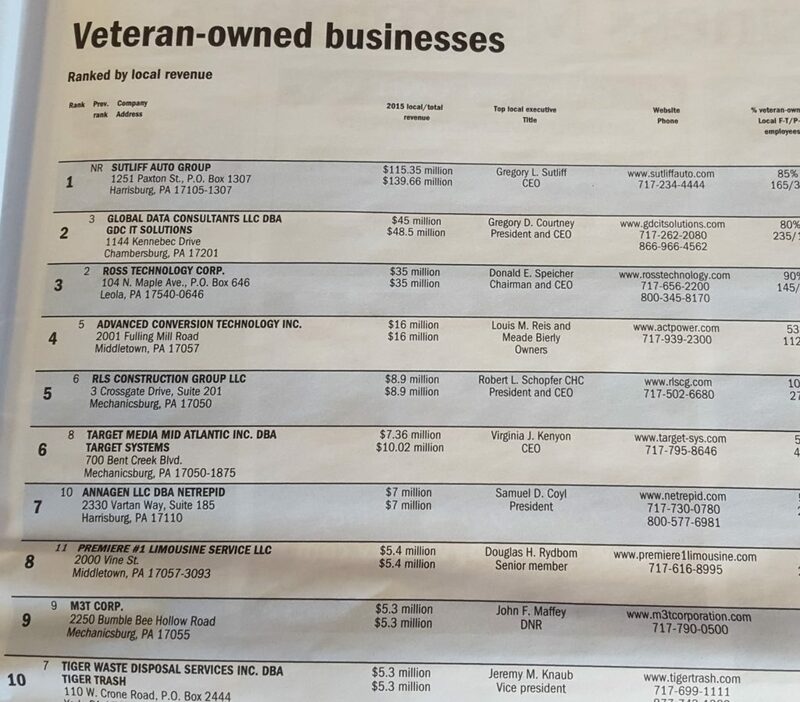 This year’s Veteran-Owned Businesses list was published in the December 9, 2016 issue of the newspaper. There were 17 businesses on this list.